FREE BERTHING IN CHICHESTER HARBOUR! This year we are giving one lucky boat owner the chance to win their berth for the year FREE of charge! To be in with a chance of winning call 01243 375 335! CALL 01243 375 335 TO BOOK YOUR BERTH TODAY! The Thornham Elves enjoyed some festive fun in the office this year! Should you have an emergency whilst the office is closed you will find an emergency contact number displayed in the office window. If you require any electricity cards please pop in to the office before friday 20th to stock up! Those who are already on the top up list need not worry. Thornham Marina Can Give Your Bottom A Lift! Is your bottom in need of some TLC this winter? Watch this video, to find out how you can get yours looking silky smooth! Call 01243 375 335 to receive your discount!! We understand that not everyone wants to come out for the full 5 months during the winter, so we have created this fantastic deal to allow you to maintain your boat at an unbeatable cost – remember all you pay is the cost of your lift and re-launch. Call Courtney now on 01243 375 335 to take advantage of this amazing offer. Remember to tell all your friends about Thornham Marina and if they join us for our quick turnaround deal we will give you £25 to say thank you! *offer applies to those who pay for lift out and re-launch upfront. If you extend your stay past 30 days you will be charged for all services used. Would you like a free bottle of wine?! 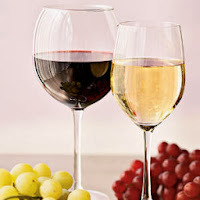 For the month of December we will be giving a bottle of wine to every customer who leaves us a review! All you have to do is click here, and leave us a review. Once you have done this, send us an email (info@thornhammarina.com) with your choice of wine (red or white?) and next time you are passing pop in to the office to pick it up! Each year we send out Christmas cards to all our wonderful boat owners, but this year we are doing something different. Thornham Marina is donating to www.justgiving.com/luluboys for Breakthrough Breast Cancer. Louise Boys is a determined, inspirational and beautiful young lady, a wife, mother of 3 and a very dear friend of Thornham Marina. Things could have been a lot different for Louise. Louise is taking part in the Brooks HellRunner in January 2014. Last year I was diagnosed with DCIS, which is an early form of breast cancer. I had to have a mastectomy and fortunately didn't need to receive any further treatment. This year my Mum was also diagnosed with breast cancer and had to have a mastectomy. She is ok but will need on-going treatment for the next five years. I was sent an email by a friend asking if anyone wanted to do Brooks HellRunner, she had recently signed up. The Brooks HellRunner takes place at Longmoor Military Training Camp, nr Borden, and is (to quote the website) "trail running at its toughest and most enjoyable. It is 10 -12 miles of challenging off-road running... tough, twisting trails... including the famed Hills of Hell and the Bog of Doom!" I was tempted but knew I wouldn't go through with it without some sort of incentive. So I entered and I am doing it for charity. I figured if I took everyone's money then I would have to do it, no chickening out!! Did you know that around 55,000 people are diagnosed with breast cancer each year in the UK? That's one person every 10 minutes. 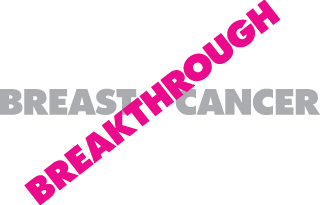 With your help I am trying to raise money for Breakthrough Breast Cancer, so that people like myself, my Mum and the thousands of other people touched by breast cancer can hopefully one day say 'We Beat Cancer'. If you would like to support Louise in her tough challenge, you can visit her just giving page, www.justgiving.com/luluboys to donate. Thank you. Our annual homemade mulled wine and mince pies get together will be on Saturday 14th December in the Marina Office from 2 - 4.30pm. Each year we bake the mince pies from scratch to compete in the great Thornham bake off. Last year's winner, who won by a unanimous decision was Cliff! He came up with the very clever idea of placing a Rolo in the center of his mince pies leaving a caramel surprise for everyone! We have been researching new ideas for this year and can't wait for you all to try our delicious creations. We would love to see you all there and celebrate the festive spirit with a glass of warm mulled wine and a delicious homemade mince pie. Please RSVP to Courtney by calling 01243 375 335 or email info@thornhammarina.com so we can bake enough mince pies for everyone! We wanted to let you know all of the great things that are going on here at Thornham Marina. Check out our full newsletter by clicking on the summary below. Each year we hold a free prize draw where the lucky winner will receive their entire winter package free of charge! All the names are printed off and 1 lucky winner gets pulled from the hat (or plastic cup!). Rob has been a loyal customer of the marina for 5 years now and was delighted with Jeanette’s phone call. Firstly many thanks for getting Drowsy out of the weather and into the basin at short notice - much appreciated by both of us! Secondly, I was delighted to hear I'd won the draw for free storage this winter. You and the team provide a first rate service and I always know that Drowsy will get a thorough look over after a gale to make sure everything is as it should be. Irrespective of the draw, I wouldn't hesitate to recommend other boat owners to come to Thornham if they want the stress taken out of over-wintering. It’s also excellent value (especially this year) and a great place to be! You could be in with a chance of winning next year, all you have to do is call Courtney or Jeanette on 01243 375 335 and book your space for winter 2014 by paying your £100 deposit. With so much to think about, we’ve put together this handy check list to help you and your boat this winter. 1. Prior to the boats arrival, ensure that the marina/yard team are aware of your type of vessel and keel configuration. If you have a picture of her out of the water it can be a great help. 2. If you are planning to have any specialist/messy work done during the winter, ensure the staff know well in advance so they can position you in a suitable area. 3. Prepare fenders and warps on both sides whilst safe in the water. Lift out season is a busy time and things can change constantly. 4. Do not tie covers or tarpaulins to wooden shores or cross bracing! 5. Remove all expensive equipment, outboard and tender and store in a safe place. 6. One of the most important things you can remove are the SAILS! Ideally, they should be removed prior to lift out, however, this is not always possible. Each year many sails unfurl in the winter gales causing lots of damage to boats. 7. Remove any covers, dodgers or spray hoods that could become damaged over the winter period. You might want to think about sending them to Covercare for a good clean! 8. Remove the log impeller and replace with a blanking plug. 9. Check all standing rigging and screws for sign of wear or damage. If you want an expert eye, Barry the Rigger can do this for you. 10. Check your seacocks. Look at them from the outside and check the conditon of the through-hull skin fittings. Also check the inside that they all operate correctly and easily. A handy tip: make sure each through-hull fitting has a wooden bung of the correct size tied to it so if something does go wrong you can plug the hole quickly. 11. Check your propellers and anodes whilst she is ashore. If your anode is more than 50% gone, replace it. If they go during the season you could end up with an expensive bill next year! 12. Drain down your water tanks – we all know what happens to water when it freezes! 13. Get your engine winterized. Cutler Marine can do this for you. It is worth it! 14. 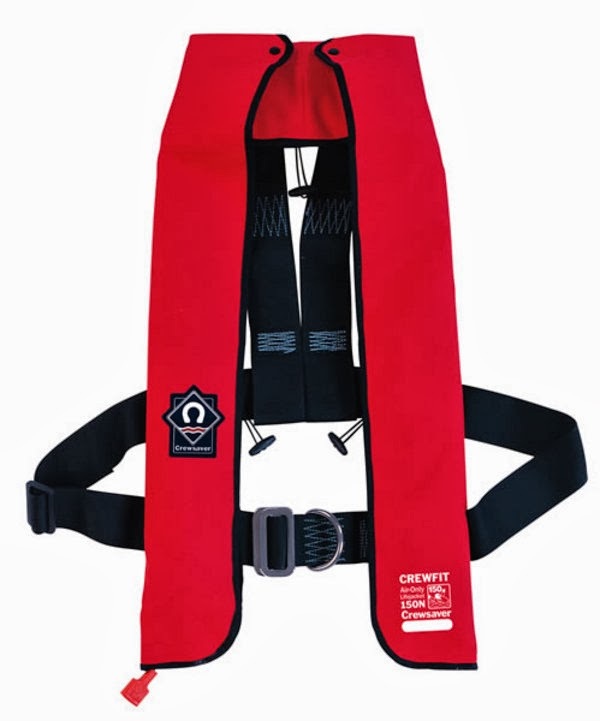 Service The Lifejackets – An important maintanence task that many overlook! This can be done for you in the office. We send them off to SeaSafe who will check them and notify you of any defects. 15. When leaving the boat, ensure that all batteries and gas bottles have been switched off. 16. It is always useful to leave a spare set of keys with the office, not least of all incase you forget to bring yours when you come down. If you have watched the news over the weekend you may be aware that a 'mini tornado' hit the south coast Sunday morning. Luckily there is no damage to report from the Marina. For those that haven't caught up with the news, click here to see an article from the BBC with a small video. Unfortunately the port hand pole marking the end of Thorney Island Sailing Club's concrete jetty which is submerged 3 hours either side of high water and extends almost half way across the channel has completely disappeared. 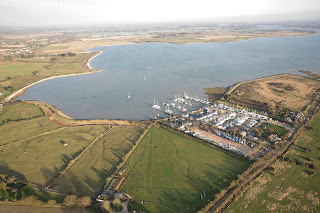 The Chichester Harbour Conservancy has been informed together with Defence Infrastructure Organisation, who are responsible for maintaining it. At high water, the underwater obstruction is difficult to locate for those of us who are familiar with the area, let alone skippers from elsewhere. As far as I am aware a replacement has not yet appeared. You’ll never guess what Trafalgar Wharf are up to today! They’re attempting to set a new World Record by crossing from Portsmouth to the Isle of Wight in a hollowed out giant pumpkin! They were contacted by contemporary artist Dmitri Galitzine, who asked them for their help, and how could they resist. To be fair, the pumpkin will be fitted with a small outboard motor which will enable Dmitri to travel at about 1 or 2 knots, but the crossing point is over one of the busiest shipping channels in the world. This is going to be the first ever attempt in history to cross the Solent in a giant vegetable! The pumpkin was prepared and tested at our sister site Trafalgar Wharf, on Sunday and Monday, with the crossing to take place on today. We have our fingers crossed for good weather and a smooth ride for Dmitri. And as if sailing across the Solent in a bright orange vegetable isn’t madcap enough, they will also be trying for a Guinness World Record attempt with a 100 metre paddle dash in the pumpkin (no motor this time!!) in the wet dock here. They’ll be racing against the clock to paddle 100 meters in under three minutes. They’ll be doing this on Wednesday 23rd at 1pm so if you’re around and fancy coming to watch then please do go down. They’ll be serving up pumpkin soup to keep you warm. To find directions to Trafalgar, please click here. Thornham Marina Takes on 2 Apprentices For a Day To Raise Money for #HelpACapitalChild ! As part of Help A Capital Child Week, the Thornham Team will be joined by Gillies & Emily, Capital FM South Coast breakfast presenters on Tue 22 October. Gillies & Emily will be assisting Cliff & Josh in the day to day activities of the yard. Now obviously, they are not used to working with the outside elements, so lets hope the weather & Cliff is kind to them. If you are reading this guys you may want to bring some wellies!! Help a Capital Child is committed to improving the lives of disadvantaged children throughout the UK. The money raised will be used to fund specialist Teenage Cancer Trust units in Hospitals across the country, which are specifically designed to make life a bit better for teenagers. They can share their experience with people of a similar age, and the environment is designed to allow them to still be a teenager despite everything they are going through. If you want to see how our apprentices get on, why not pop down between 11.30am and 12.30pm on Tuesday 22nd Oct.
You can make a donation by visiting their website, or clicking here. 5 Great Reasons to Keep your Boat at Thornham Marina this Winter! As promised here is our video giving you 5 great reasons (and maybe a few more...) to Winter at Thornham Marina this year. To receive your free quote call Jeanette or Courtney now on 01243 375 335. Still looking for a Winter Home? If you would like to join us this winter call 01243 375 335 to secure your space today! Following on from our survey results post, you can now view our video revealing the winner of a £100 voucher which can be used towards services at Thornham. 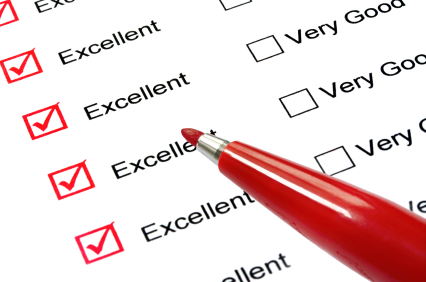 We recently sent out a survey to all Boat Owners past and present of which we had a fantastic response. I have listed below a couple of the questions that were in the survey and the responses. I hope you find it interesting. Next week the lucky winner of a £100 voucher to be used towards services at Thornham will be announced! How would you rate the way your boat is lifted/pressure washed/re-launched? How would you rate the way your boat is cradled/blocked/shored? Don't forget to check back next week to find out the lucky winner of our £100 gift voucher! This month is your last chance to be entered in to our FREE Winter storage prize draw! The lucky winner will receive their entire Winter Package absolutely FREE! Call 01243 375 335 now, pay your £100 deposit! Last year's lucky winner was David Goodman - Yacht Blue Horizon! Could this year be you? To be in with a chance of winning, all you have to do is book your space at Thornham this Winter by calling 01243 375 335 today! That's not all - if you pay your £100 deposit today, you will also receive a free Summer scrub during May - August 2014! Book your Winter storage at the South Coast's Friendliest Marina today - Call 01243 375 335 now! 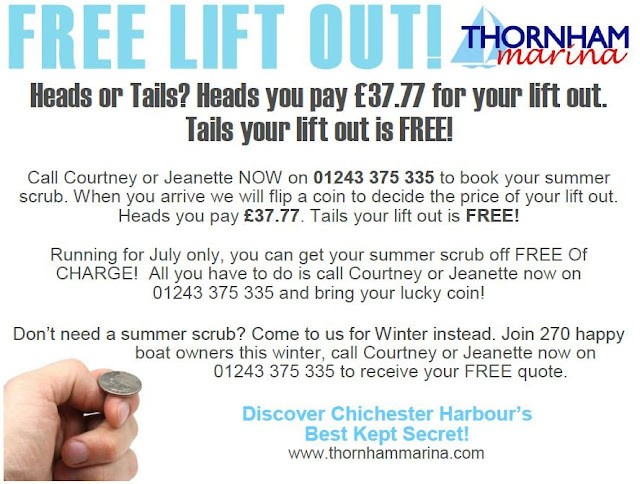 FREE LIFT OUT AT THORNHAM MARINA! 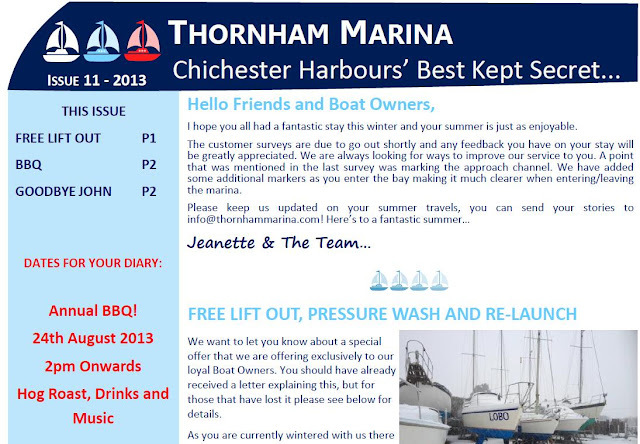 Keep up to date throughout the summer with all the latest news from Thornham Marina. Check out our blog. We update our blog regularly with our latest offer's, changes to opening hours at the marina, local events and more. Receive our emails. You can sign up using the sidebar on the left hand side of our webpage. A big thank you to all our lovely boat owners for your continued support and as an extra special thank you to all those who have paid their £100 deposit for winter 2013/14 we are offering you a FREE LIFT, HOLD & SCRUB & RE-LAUNCH all on 1 tide during the summer (May to August)! All we ask, is that you give us a call on 01243 375 335 to book this in, please do not just turn up. To receive your free lift, hold scrub and re-launch all on 1 tide during the summer (May to August) all you have to do is call Courtney on 01243 375 335 and pay your £100 deposit. Europe's Largest Used Multihull Boat Show - 3rd to 6th May 2013! Europe's Largest Used Multihull Boat Show! This is the ultimate destination for all serious Multihull buyers and the place to have your boat if you wish to sell it. Catalac, Corsair, Patterson, Prout & Woods. The Multihull Team will be on hand from 10am until 4pm each day to host viewings on board and offer invaluable advice and information. If you love your CAT's & TRI's this event is not to be missed! 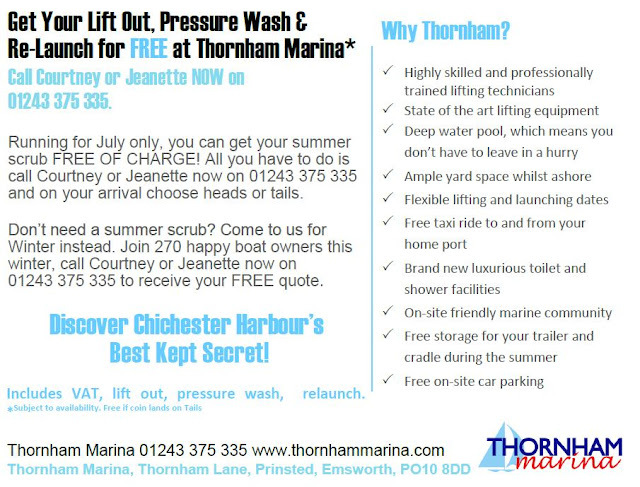 Do You Know A Marina That Will Lift You, Pressure Wash You And Re-Launch You All For Free? CALL 01243 375 335 NOW TO FIND OUT WHO?! Handcrafted goods, jewellery, soft toys, jam, marmalade and cakes. (Mon-Fri 10:00am - 12:00pm) or phone Alison Patrick on 01243 377 493. Art Exhibition in Support of Help For Heroes! 10:00am - 4:00pm, Chidham Village Hall. To hire a table, £5, please contact Margaret Cornick on 01243 378044. Winter 2013/14 has been our busiest (and possibly coldest!) yet. All that is left for most, is to think about the jobs you have to do prior to re-launch. We thought we'd put together a few ideas as a check list to ensure you are ready for summer. If you have yet to decide a launch date, call the office 01243 375 335 to discuss suitable days. Easter is on 31 March this year and that week is very busy so I recommend you book as soon as possible if you wish to go that week. Antifoul - Allow yourself plenty of time to antifoul your boat if you are doing this yourself. To ensure you get the best out of your antifoul, it should be stored at room temperature the night before and then applied to your boat in a temperature of above 5 degrees on the day. If we are antifouling for you then you do not need to worry as when you book your launch date, we will then allocate a day for your boat to be antifouled. We will make sure that the patches where the shores or cradle pads have been are antifouled and this is done whilst you are in the slings ready to be put back into the water. For those of you who are antifouling yourself, if you leave your paint and a brush, the guys will do the patches for you before your launch. Please be aware that they will only have time to do the patches and will not have time to drop keels for these to be antifouled. If you need your keel antifouled, this will need to be booked prior to launch and you will be charged at an hourly labour rate for this. The only other thing I would ask, is that you make sure you dispose of your empty tins, trays, bags and brushes in the appropriate bins. Please do not leave these under or next to your boat as they are a trip hazard and make the yard look very untidy. Your engine – there have been instances in the past where owners have left it until the last minute to turn their engines on, only to find they do not start. We always allow sufficient time in the pool for owners to run up their engines, and if you have had a lot of work done on your engine it is advised that you are launched the day before you wish to leave so you can carry out any checks and make sure there are no leaks – especially if your boat is going onto a swinging mooring. Sails – When sails are put back on, it is important that they are secured properly especially whilst you are still ashore. If they are not secured properly and the wind picks up, the sails could unravel and potentially cause the boat to fall over. If you need to hoist your sails whilst you are ashore, please make sure that there is no wind and your boat is pointing in the right direction to the wind – again if this is not done properly serious damage could be caused to your and other peoples boats and injury to yourself. Re-stocking – this can be done whilst she is still ashore or depending on your launch to the pool, there will be some time for you to do this whilst in the pool. Leaving the pool – you will be assisted by Cliff and John when you leave the pool. If you decide not to leave due to high winds – this is not a problem but you should let the boys know as soon as possible so you can be moved to allow the other boats to leave. One thing you don't have to worry about is where to leave your car as we provide a free taxi journey (within a 20 mile radius) to get you back your car. If you have anything else that you would recommend to other boat owners, please email us info@thornhammarina.com so we can add this to our list! We hope you have all enjoyed your time at Thornham and look forward to seeing you all next season! Is your boat under 9m? For just £1183.76 or less for the whole year, you can moor your boat in beautiful surroundings and have peace of mind knowing she is safe ashore during the winter. This includes your swinging mooring from the 1st April, Lift Out, Pressure Wash, Storage Ashore for 5 months from 1st November and Re-Launch! All you have to do is call Courtney now on 01243 375 335! Hurry, we only have a final few left! Brand New Pontoon Berths In Chichester Harbour! Take a look at our video of our BRAND NEW pontoon berths! To find out how you can get involved, click here. Look out for pictures of us wearing our hats on the day! 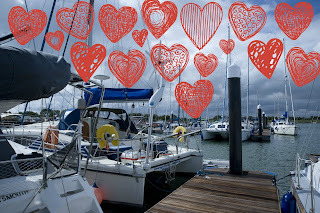 Love Is In The Air And On The Water! Valentine's Day is a day of love and romance and the Team at Thornham Marina wish every one of you a lovely day. Tradition says that Valentine's day is a day to show those nearest and dearest how much you love them. My husband and I bought our beautiful dog Rupert special treats for Valentines day, so why not think about giving someone else you love a special treat. 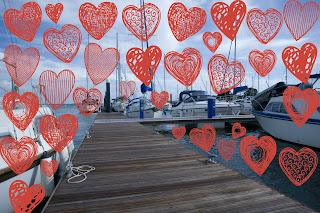 Treat your boat this Valentines day - Moor her on a lovely berth, looked after by lovely staff in lovely surroundings. Call Courtney & Jeanette now on 01243 375 335. P.S, Here's Rupert - awwwwww! 21st Birthday Wishes to our Wonderful Courtney Jane from all the Thornham Team who celebrated her 21st Birthday yesterday! 12th of February was also Abraham Lincoln's, Charles Darwin's & Anna Pavlova's birthday. More Dates Announced - Book Your Space! After the success of the first ever JBT Marine VHF Radio Course, which was based at Trafalgar Wharf last weekend. They have arranged a few more dates, that are not to be missed! • £30 fee is payable to the RYA (Royal Yachting Association) on successful completion of the course, for processing and supplying of the VHF/SRC Radio Operators Licence. When using a Marine VHF radio or VHF Hand held radio on your RIB, it is essential that you have completed and passed the SRC (Short Range Certificate) Radio Course. During the course, you will be taught using radio simulators and have a short written/multiple choice test at the end. On completion you will receive the Short Range Certificate (SRC) or Short Range Radio Licence from the RYA. This is your last your chance to take advantage of our super duper discounted antifoul rates! Book now - pay nothing until March (apart from a small £20 deposit by tomorrow to secure your 10% discount)! Call Courtney now on 01243 375 335 to receive your free quote! If you're really busy today and can't get to the phone by 4.30pm, you can always leave a message or send us an email - info@thornhammarina.com. I promise i'll hold the prices for those who are out there working hard but want their bottom soft and smooth for the summer! To make sure you don't miss out, call Courtney now on 01243 375 335 for your free quote! Here is an email that JBT Marine (our sister RIB Sales company) have just sent out...it's happening TOMORROW! When using a Marine VHF radio or VHF Hand held radio on your RIB or boat, it is essential that you have completed and passed the SRC (Short Range Certificate) Radio Course. During the one day course, you will be taught using radio simulators and have a short written test at the end. On completion you will receive the Short Range Certificate (SRC) or Short Range Radio Licence from the RYA.